I do disagree with the idea that firmware signature validation should be mandatory (which you seem to promote), as it usually makes it impossible for free software projects like Coreboot to make compatible ports. The benefits with Coreboot are that we can get a better idea of what is running on the computer (therefore more secure) and faster boot times. Some vendor BIOSes restricts what wifi cards can be used and that is not in the user’s interest, too. I think it would be better with firmware signature validation that can be turned off by the user (of course in the BIOS, not from OS level). I didn’t mean to imply that the only way forward was to strictly enforce firmware signature validation. So I agree with you that the option to enforce signed firmware updates should be a requirement for anyone designing a computer. 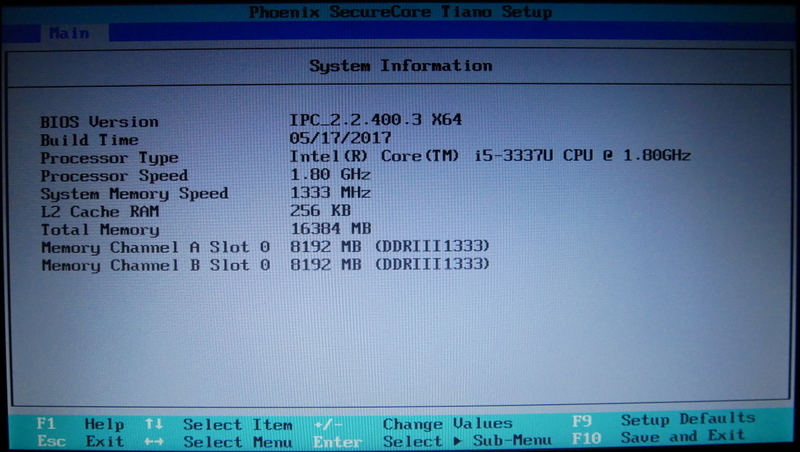 In the old days of BIOS, there was a write-protect jumper you could select to prevent BIOS updates. With UEFI, such a jumper is not possible anymore as flash is partitioned between ROM and EEPROM components (e.g. saving UEFI boot entries) and a write-protect jumper on the hardware part would prevent fundamental parts of UEFI from correctly functioning. Therefore write-protection must be implemented at a software level. The fact that a firmware signature validation option is missing completely is a huge security oversight by CompuLab and leaves their users open to malicious software installing rogue firmware updates or bricking the device. Sadly they have not shown any interest in including a firmware signature validation option. This isn’t necessarily true. Most complaints about x86 platform security stem from the Intel Management Engine (IME) which Coreboot can’t disable on newer platforms (such as this one). Additionally, at a firmware level a lot of code is very specific to the exact hardware in question, and may rely on proprietary/NDA-level information (e.g. IOMMU) to achieve the same functionality as proprietary code it aims to replace. Having a FLOSS firmware will not necessarily lead to more people being able to improve it or fix bugs. I think this is well illustrated in the extremely small number of targets Coreboot supports. as it usually makes it impossible for free software projects like Coreboot to make compatible ports. The benefits with Coreboot are that we can get a better idea of what is running on the computer (therefore more secure) and faster boot times.